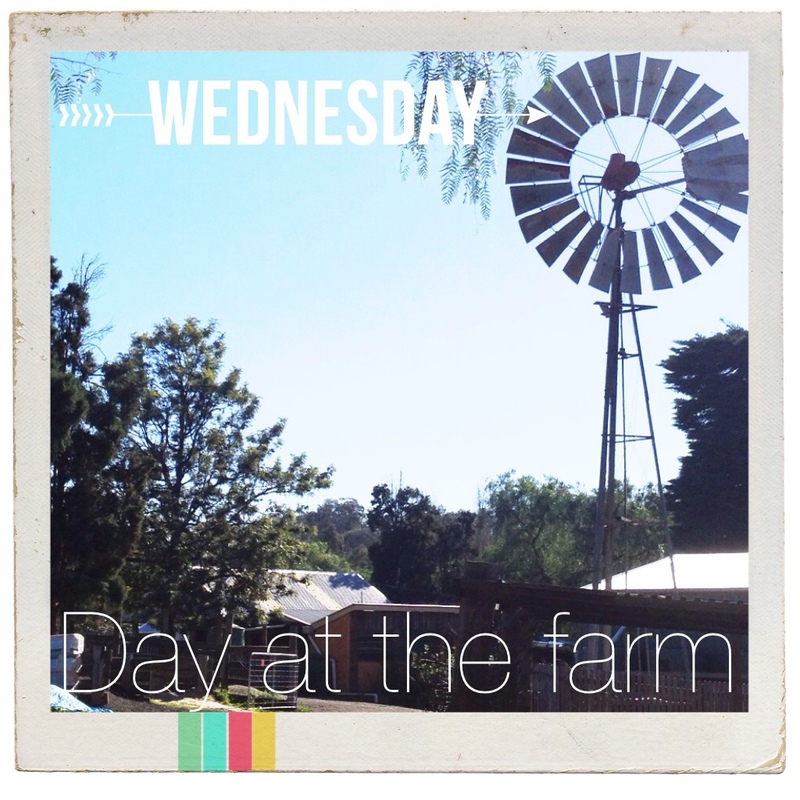 I'm playing catch up on some posts..
A few weeks ago I took Elijah to the Collingwood Children's Farm. 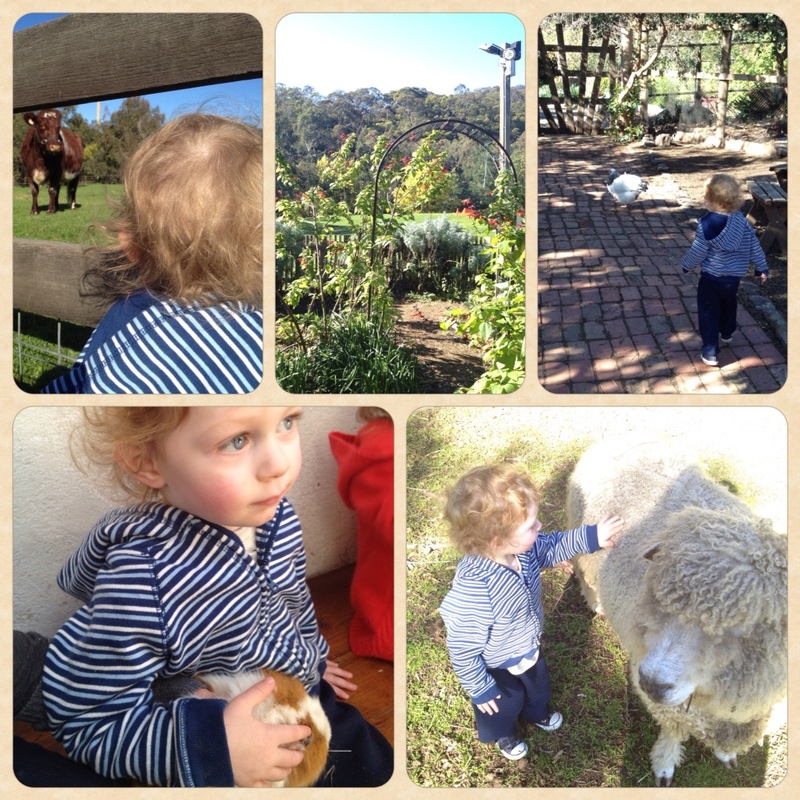 We've taken him to a couple of farms which he's enjoyed and Collingwood was no exception. I enjoyed it a lot too! The great thing about this farm is that you can go into the paddocks with some of the animals. We visited with the goats and sheep, and Elijah was excited to be able to walk up and pat them. Chickens, ducks, geese, and peacocks roam free which is nice as the kids can touch them too if they're fast enough! Eating lunch with some big chickens sitting at your feet is quite exciting when you're a child! The guinea pig room is lots of fun, there's a bench along the wall to sit at, then you can choose whichever guinea pig you'd like to hold. The piggies are all named and are clearly used to contact with little people! Other animals to see include pigs, cows, and horse. All in all it made for a lovely day out. We can't wait to go again. The top photo is edited using a fantastic app called Rhonna. You can read more about it here. When I spotted that the frame used in the top photo has colours that match my blog layout, I knew I'd found the perfect editor when I'm not blogging from the pc!